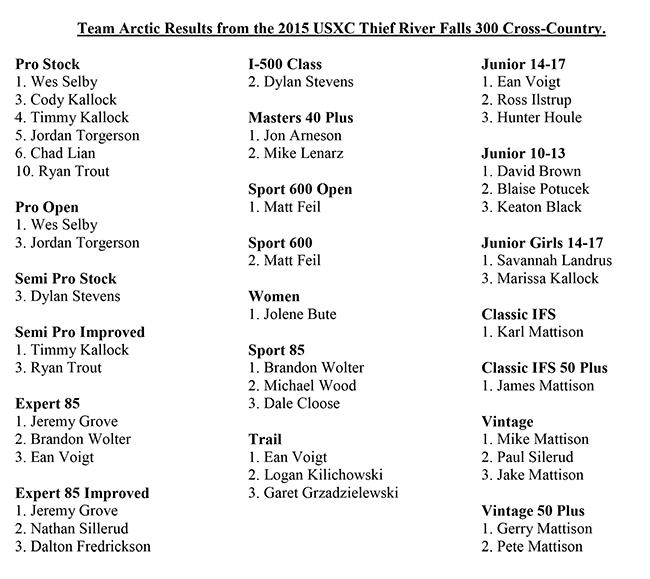 Team Arctic snocross racers prevailed at Round #3 and #4 of the ISOC National series in Fargo, ND, capturing eight class wins, 19 podium finishes and the top spot among the competitive brands. 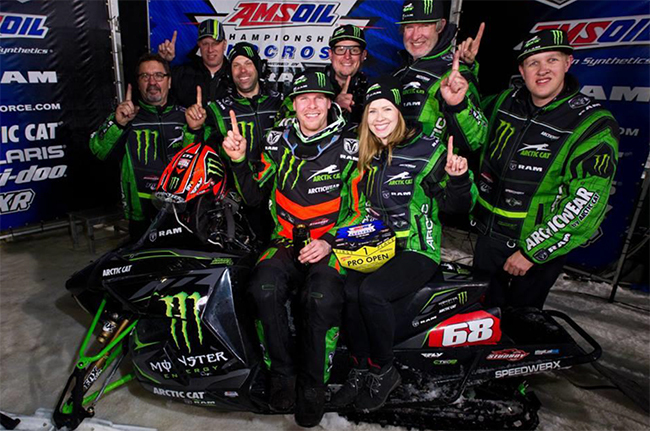 From the youngest classes to the premier Pro Open category, Team Arctic racers and the Arctic Cat ZR6000R SX once again proved to be the winning combination. 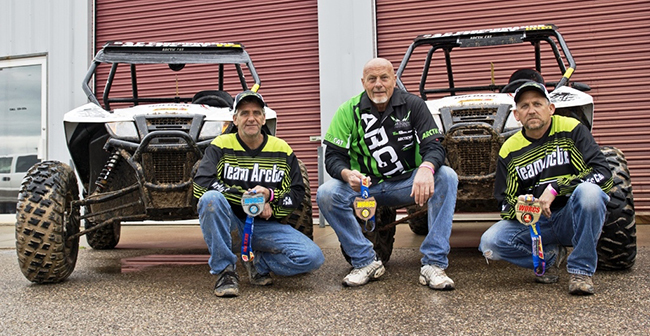 Team Arctic Hillclimb racers swarmed the final two RMSHA events of the 2015 season, unleashing an unstoppable display of power, speed and handling to capture 15 wins, two King titles and three high point championships aboard Arctic Cat M series snowmobiles featuring the ProClimb chassis. 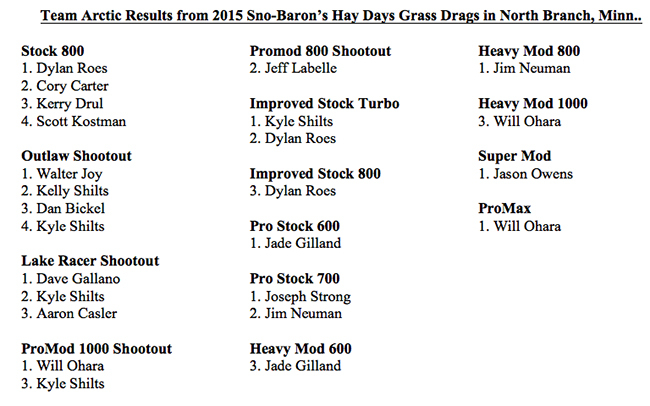 Nine wins and two King titles came at last weekend’s event in Grand Targhee, Idaho. 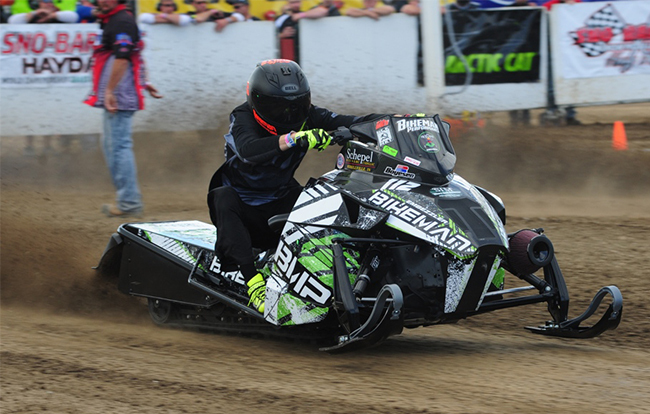 Kyle Tapio stamped his authority on the big power classes, taking wins in both 800 and 1000 Improved classes before capping the weekend with the Improved King title. Joining Tapio with multiple class wins were Garth Kaufman, who took victory in 600 Stock and 700 Stock; David McClure, who won both 600 and 700 Improved; and Eben Abshire, who won Semi Pro Stock, Mod and King titles. Todd Tupper nailed the ninth victory for Team Green by winning Masters Improved, making it a Team Arctic sweep of all the Improved classes. It was a similar story two weeks prior, at the penultimate round of the 2015 RMSHA season in Crested Butte, Colo., with Tapio, Tupper and McClure each winning a class, and Abshire sweeping all three Semi Pro events. 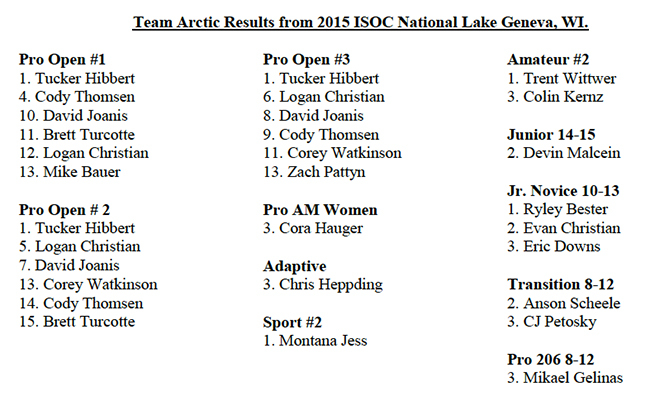 The late season success by Team Green culminated for a combined 27 podium places from Grand Targhee and Crested Butte. 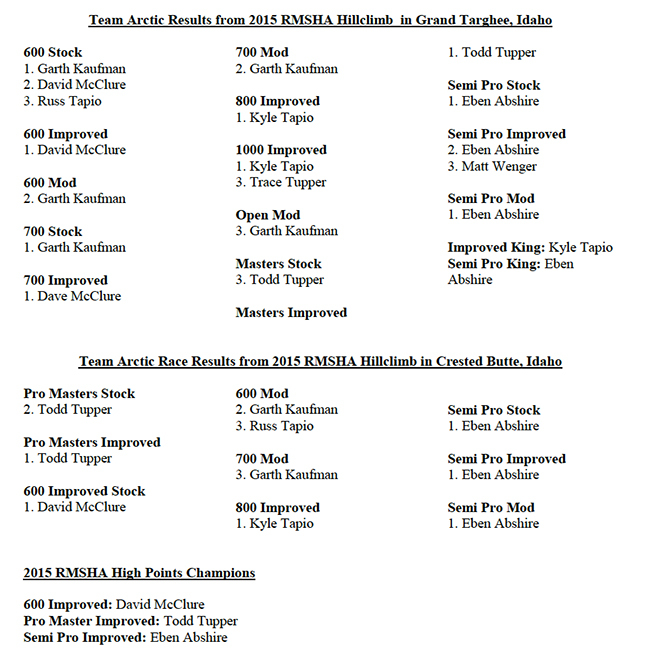 Team Arctic’s McClure, Tupper and Abshire proved their winning consistency by capturing a RMSHA season high-point championship title despite an abbreviated race season due to marginal snow conditions.